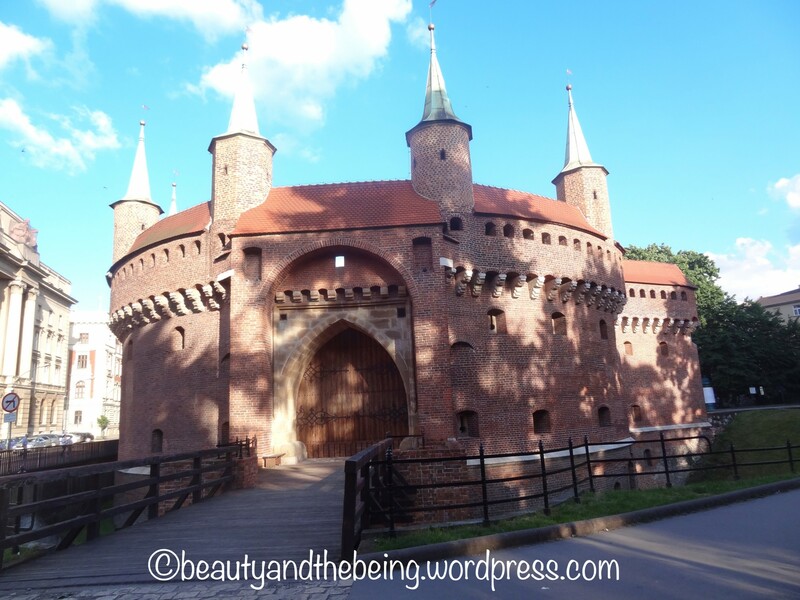 Last year I had a brilliant opportunity to visit the magical city of Krakow in Poland and in the next few posts I would like to share my travel experiences, the places I visited and all the other exciting things to do in and around this beautiful city. 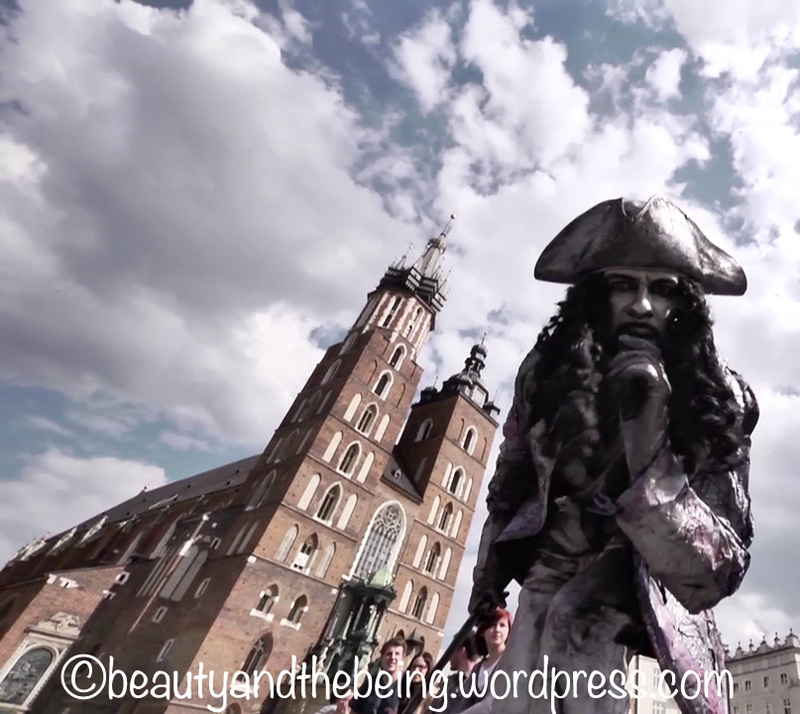 There is a lot of touristy stuff to do in Krakow and it is pretty cost efficient also. If you are planning to visit Poland I would suggest keeping a minimum of 4 – 5 days specifically for Krakow as I said there is a lot to do and absorb here. Today’s post would largely focus at all the things you can do in and around the Main Market Square or the Rynek Glowny. Like many other European countries Krakow also has a beautiful city centre, in fact it is one of the largest medieval squares in Europe. The Rynek is surrounded by beautiful historic buildings such as the Town Hall Tower, the St. Mary’s Church and The Cloth Hall, the sheer spectacle of which left me in complete awe. Apart from the great cityscapes there are plenty of cafes, souvenir shops, astonishing street buskers and off course the carriage ride which just adds to the over all experience. Two of the things you might want to do early on in the trip are a walking tour and a horse carriage ride, both will provide you with a good orientation and are actually quite enjoyable. A walking tour lasts for around 2-3 hours, my recommendation would be to go with the freewalkingtour.com, as they are just fantastic & there’s no need for reservation in advance… just be on time at the meeting spot. They have a variety of tours, the details about timings and meeting points are mentioned on their website. This is absolutely free, but I would request to tip the guide generously as they are doing a truly awesome job out of sheer passion and nothing else. A Horse carriage ride on the other hand will cost you 100 ZL and lasts for around half an hour, this one is a bit less informative as the rider doesn’t really talk to you but the ride in itself is nonetheless quite enjoyable. The Church of Virgin Mary is an iconic structure and is surely worth a visit, you may enter from the front for free (but it should only be for prayer), also this way you will miss out on a lot of great visuals… so my recommendation is to pay the entry fee which is very nominal and enjoy the view of the spectacular gothic altar, the pipe organ, and stained glass. Apart from that the most unique bit is that a real musician plays a trumpet from the highest tower every hour which just pumps up the vibrancy of this beautiful old town, and you can experience this from outside for absolutely no charge at all. While I was visiting Krakow, sadly the towers were closed and I wasn’t able to go on to the top for the views. Not much of a bummer though as The Town Hall Tower provides relatively good views of the city and was open (the views are actually obscured because you get to peep out from the windows). It is said that the town hall was once used as a prison and also had a medieval torture chambers. The stairs are high and the spaces are narrow, which reminds me to tell you all to make sure you are wearing apt footwear as there is a lot to climb, so it can get a bit torturous for a few.. also if you are not very crazy about aerial views, you can give this one a miss. The Cloth Hall or the Sukiennice was once a commercial hub for the merchants who use to discuss trade here, it is a fascinating building with a lot of souvenir shops inside the long corridor and lovely cafes out side the building where you can sit and admire the beautiful church and absorb in the whole atmosphere of this great city. The Barbican (Barbakan) is an impressive little building which served as a fortress and had an active part to play in city’s defence. Today Barbican is equally important for people like us who like to make DIY walk tours as it serves as the perfect starting point. From here you can move towards the Florianska street and then to the Main Market Square. Now lets come to another fun & exciting part – the food and the drinks! Though there are several awesome restaurants in Krakow (about which I would be writing about in my next few posts), I highly recommend you indulge in the street food experience right here at the Rynek…it’s an absolutely MUST-DO! Your visit to Poland is not complete if you haven’t had the Pierogi (Polish Dumplings), the Zupa (Soup in bread bowl), Oscypek (Polish cheese) and Tyskie and Zywiec (two of the most popular Polish beers). You can find plenty of options at the main market square where you can enjoy all this and that too at a reasonable price. You can also opt for a Pub Crawl Tour, it is highly recommended as it’s a lot of fun and you get to meet so many people and visit a variety of bars. Towards the evening the atmosphere becomes really electric, a little boisterous sometimes so would recommend to drink responsibly. For the DIY enthusiast I would recommend you download and go through the Krakow tourist map from google or scan through the google maps so that you have a fair idea of the geography as that will help you to design your own customised itinerary. On that note I would be signing off and promise to come back again with a lot of more info on what all to do in this magical city. Beautifully done! Love the pictures and details you have carefully crafted to ensure we don’t miss out on anything. Can’t wait to read more!